Packed with fruit enzymes and antioxidants for an ultra deep pore detox. Papaya resurfaces skin by removing old skin cells and Matcha gives skin an antioxidant boost for a glowing clear complexion. Lemon Balm fights pore clogging bacteria which combined with french green clay creates our strongest mask. Completely natural and made with certified organic botanical ingredients. 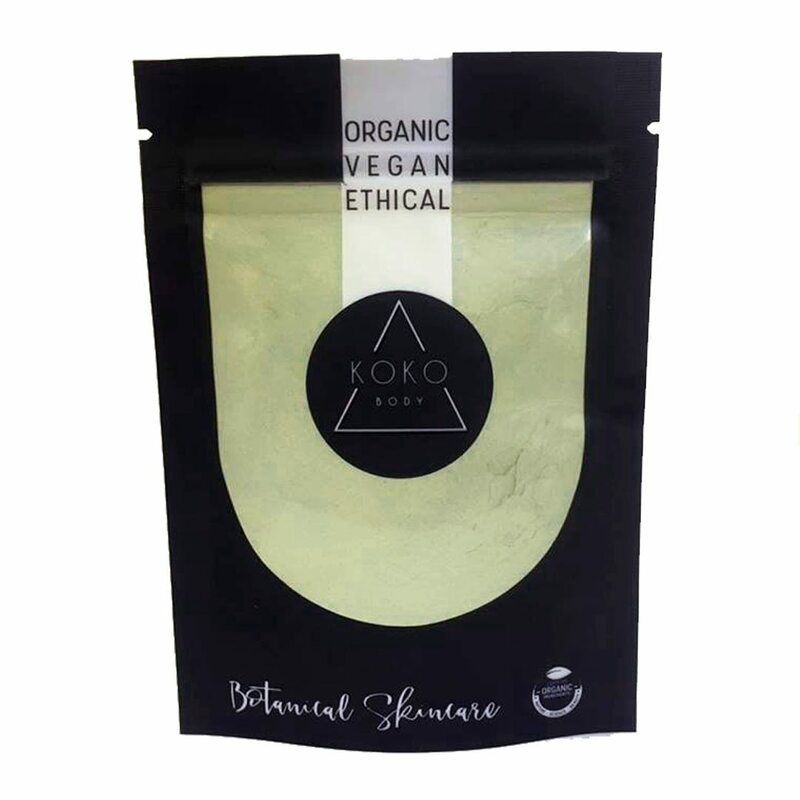 Koko is free from sulfates, parabens and preservatives. Designed to be self-preserving which is why our masks come in powder form. Each packet will make 10 facemasks if used correctly. To make up the masks simply add a teaspoon of clay to a small bowl and slowly add a few drops of water at a time, until the mask is mixed to the consistency of a thick paste. Apply to skin and leave on for 5 – 15 minutes. For maximum benefits do not let it get overly dry on your skin as it will draw out the skins natural moisture. *If you have sensitive skin we recommend this pink clay mask or yellow clay mask.